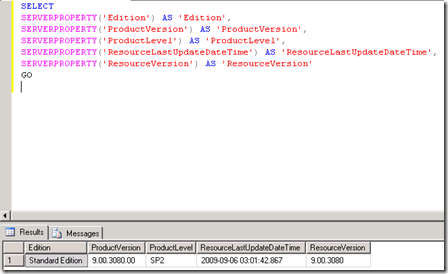 I was working on a manual for implementing SCOM 2012 and I needed to document the SQL edition. I founded an select query a couple years ago what I’m using ever since. 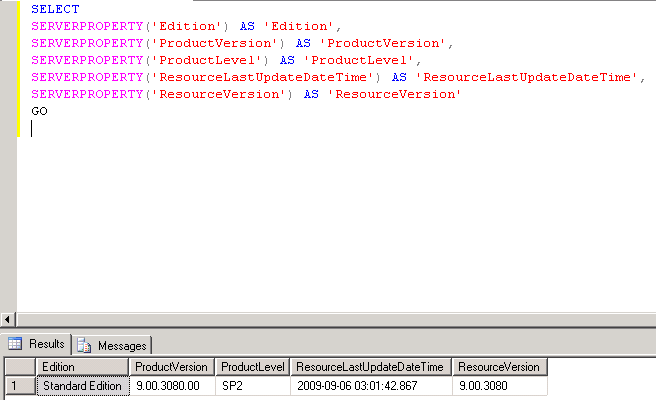 This query shows the edtion, productversion, productlvl and some more data. I thought why not make a blog about it for people who are starting to use SQL. Below are 2 screenshots. 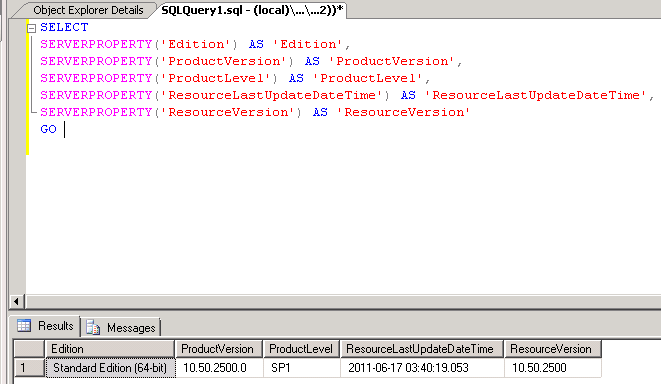 1 is from SQL 2005 and the other is SQL 2008 R2.